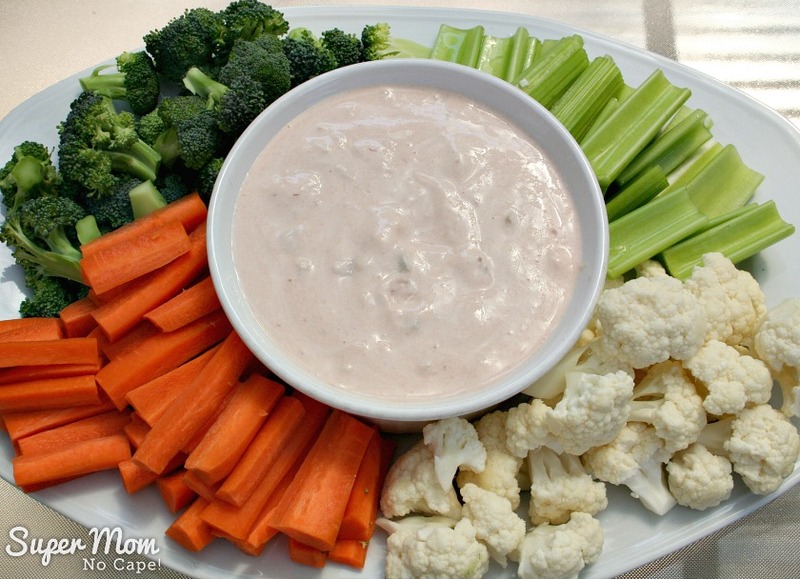 Easiest (and Tastiest) Dip Ever! - Super Mom - No Cape! 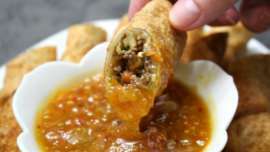 Got a last minute party and don’t know what to serve for appetizers? 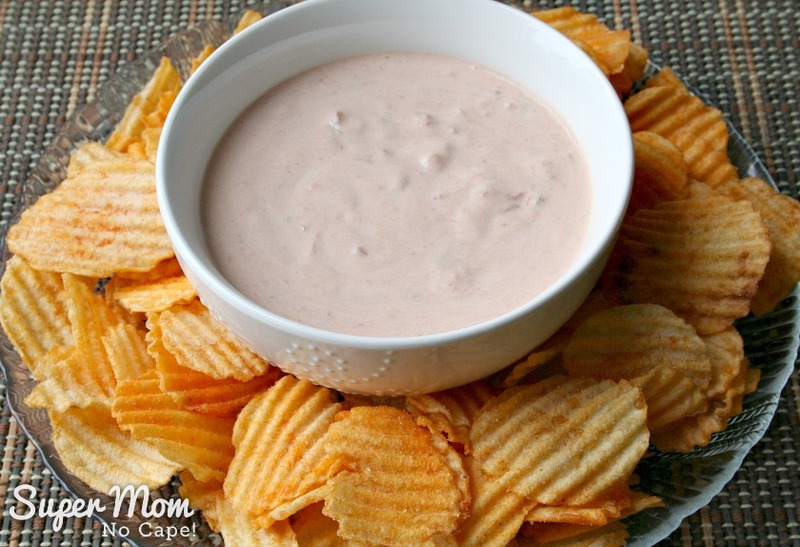 Whip up this recipe for the Easiest and Tastiest Dip Ever! It’s soooo good! Of all the parties we’ve hosted over the years, hands down the most fun ones have been last minute, impromptu parties. You know the kind I’m talking about, right? The ones where hubby calls before leaving work on Friday and says he’s invited a few of the guys and their wives over to play cards that night. That happened a lot when Dave was in the army. Or you’re sitting in the bleachers watching one of the kid’s games, get chatting with the other parents and before you know it they’re all meeting at your place after the game for munchies. Or you and hubby getting talking and realize it’s been a while since you had friends over and hey, now’s as good a time as any… lol. 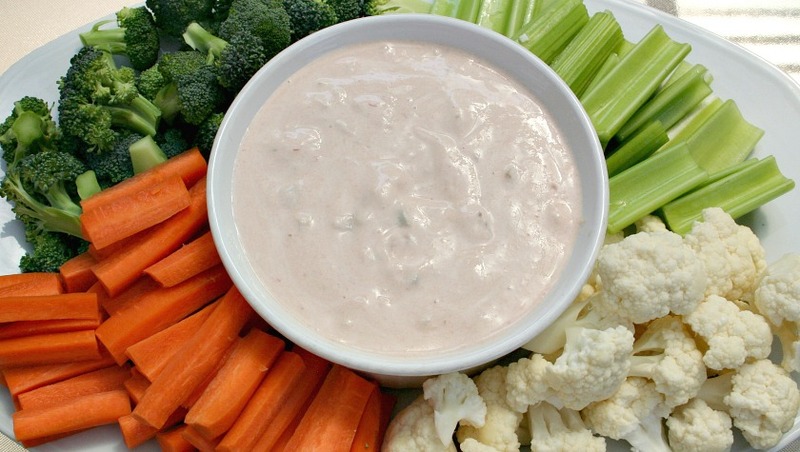 This is my go to dip recipe for all those kinds of parties. 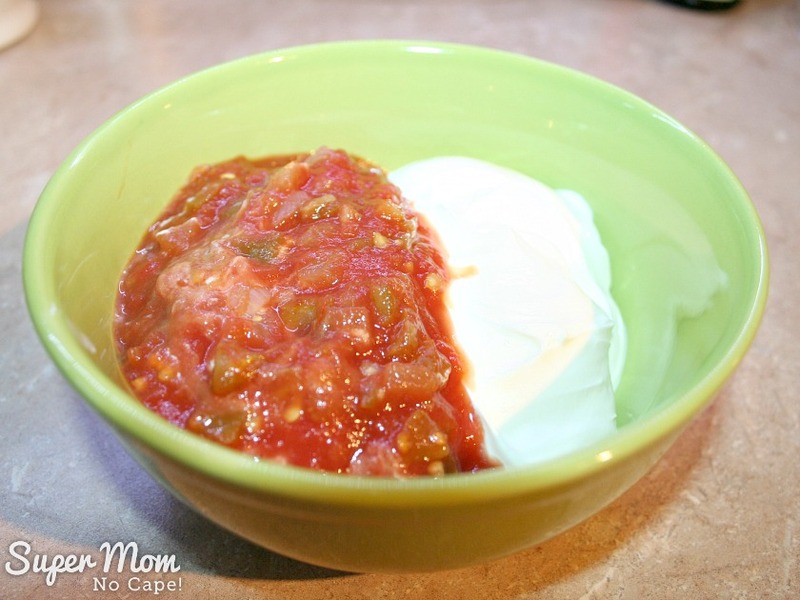 It’s quick, easy and I almost always have the ingredients in the fridge. 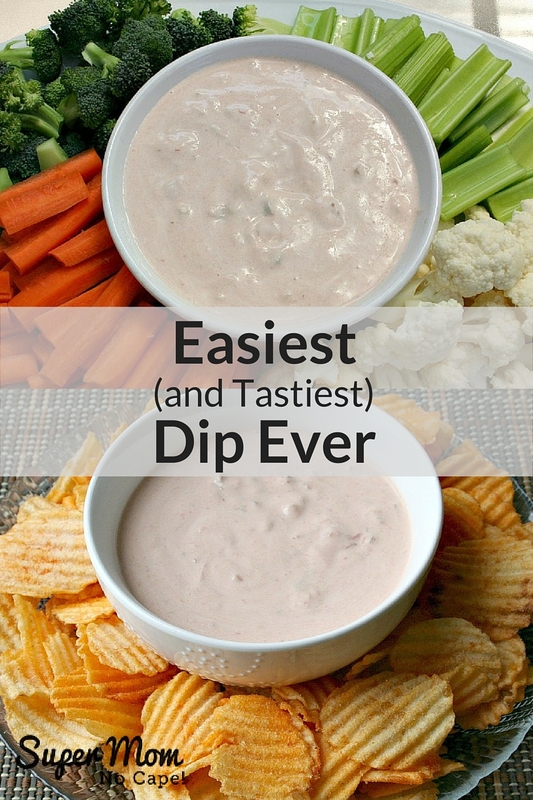 In fact, I’m actually a little reluctant to post it because it truly is the easiest dip ever! But since it’s also the tastiest and a clear Flemming family favorite here goes. There are just two ingredients! I told you it was the Easiest Dip Ever! You can serve it immediately if you’re pressed for time but it’s even better if it’s allowed to sit covered in the fridge for at least an hour for the flavors to meld. 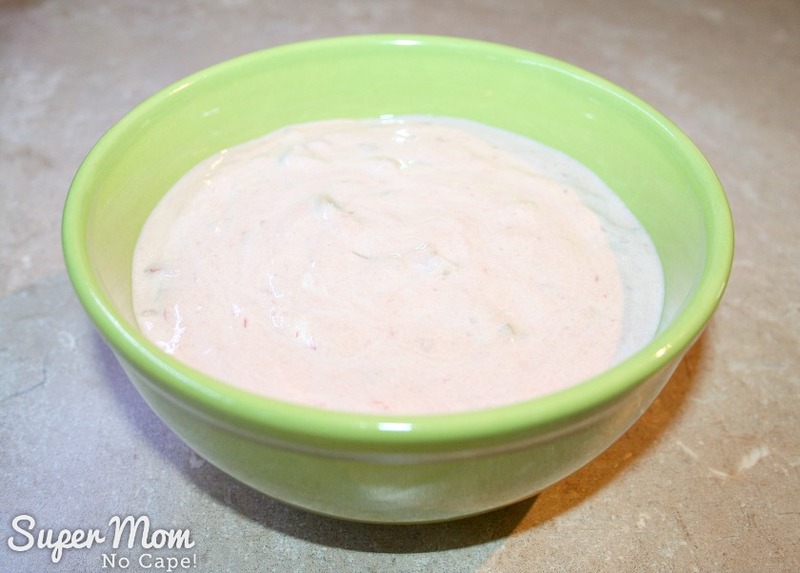 It’s such a simple recipe you won’t have any trouble remembering it but if you’d like to save it for future reference, please be sure to click on the Pinterest button underneath this post. 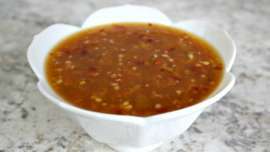 Take that salsa and mix it with Mayo for a great non tarter sauce for fish or dressing for salad. Can the turtles make it themselves? I am all for an easy life, leaves more time for sewing. I just tried it with Tofutti dairy free sour cream. Yum! Whiz together in food processor till smooth. 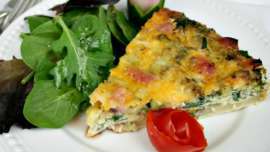 Serve with veggies or tortilla chips.